Democratic minority leader Sen. Chuck Schumer says the face of a "brutal dictator" has no place on an American-issued coin. 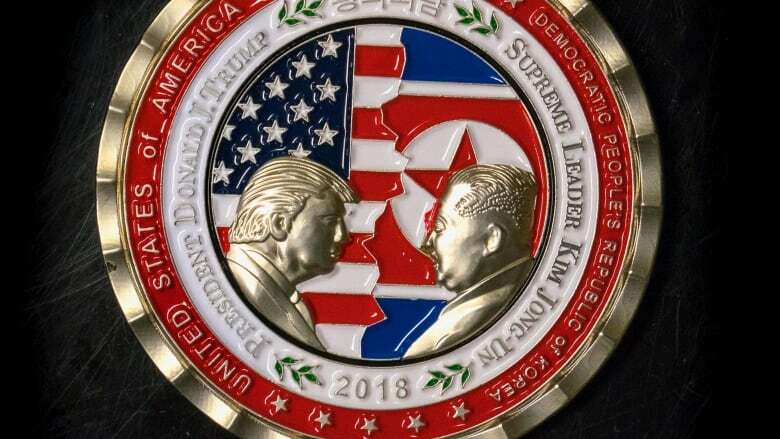 As U.S. President Donald Trump acknowledged there is a "very substantial chance" that his highly publicized summit with North Korean leader Kim Jong-un will not go ahead as planned on June 12, a U.S. military agency has already unveiled a coin commemorating the "peace talks." The red, white and gold coin shows Trump and Kim facing one another with the U.S. and North Korean flags in the background. The words "peace talks" are inscribed between "United States of America" and "Democratic People's Republic of Korea" (North Korea's formal name). It also displays Kim's chosen title of "Supreme Leader." Although commemorative coins — also known as "challenge coins" — are routinely made to mark important events and visits, Democratic minority leader Sen. Chuck Schumer criticized Kim's depiction. "I urge the White House to take Kim off the coin," Schumer said in a tweet on Tuesday. Challenge coins are a time-honoured tradition, he said, "but Kim Jong Un's face has no place on this coin. He is a brutal dictator and something like the Peace House would be much more appropriate." 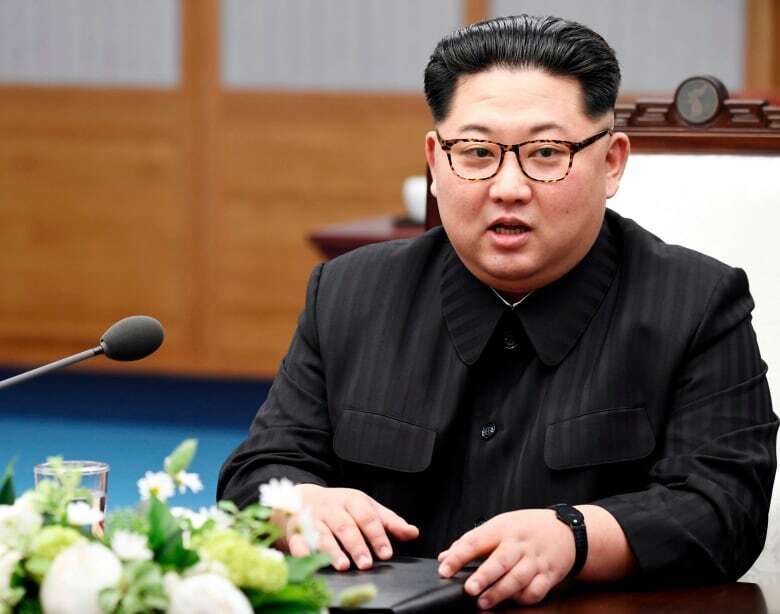 North Korea threatened to pull out of the summit with the U.S. — which Trump had said could be "a very special moment for world peace" — last week after cancelling planned peace talks with South Korea. 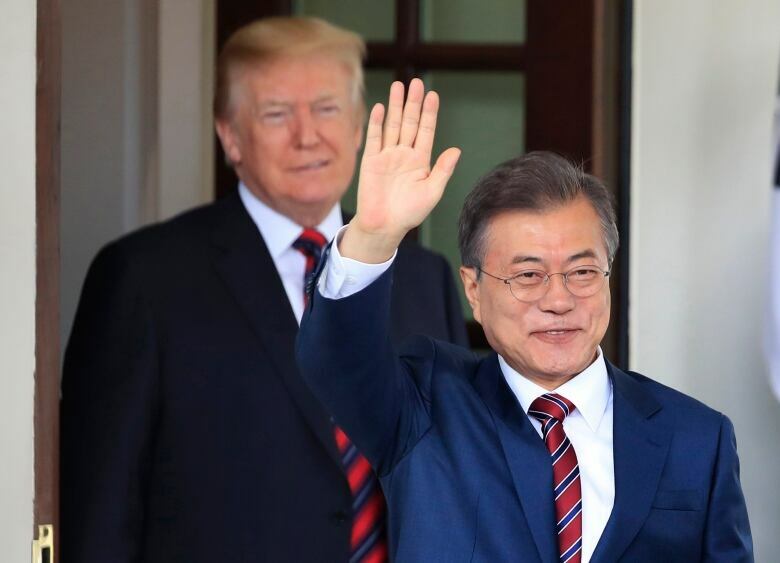 The North objected to the continuation of long-scheduled joint military exercises between U.S. and South Korean forces, as well as U.S. demands for its denuclearization. When asked by a reporter on Tuesday whether it had been premature to make the coins, White House press secretary Sarah Huckabee Sanders said the White House had nothing to do with producing them. They were made by White House Communications Agency — a government military agency — as standard procedure, she said. Earlier in the day, White House spokesperson Raj Shah said the agency has commissioned souvenir coins to mark important trips since 2003.